The design of your website influences how visitors perceive your business and branding. The effect web design can have on your success goes beyond the mere cosmetic appearance of your site. Certain features also influence bounce rates, duration of visits, and search engine rankings. They ultimately affect the performance of your search engine optimization (SEO) strategies. 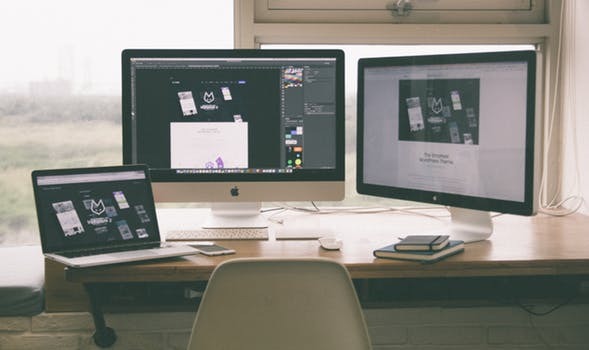 Stay on top of the game by creating an innovative, user-friendly, and functional website. Minimalism is currently a preferred approach for many web layouts. Characterized by strategic use of negative space, clean and crisp elements, and simple colours, minimalist designs give websites a sleek, elegant, and professional feel. Another benefit (aside from the stylish appearance) is its functionality. The lack of clutter makes a website easy to navigate, improving overall user experience. An offshoot of minimalism, the “flat design” was developed to enhance website performance on mobile devices. Clean and simple, flat design is defined by a notable two-dimensional display. It is also characterized by bold bright colours and clean-cut edges. At the other end of the spectrum, eye-catching, asymmetrical layouts are making waves. Broken grid designs promote dynamism and engagement by breaking away from the safer designs of conventional grid layouts. Using layered and overlapping elements, borders, back shadows, and custom margins and gradients can be complicated but effective. “Retro” is a combination of vintage and modern styles, distinguished by the use of bright, striking colour combinations, and geometric shapes. Currently a popular choice for clothing lines and product packaging, this colour trend is likely to seep into the the web layout and design industry. Minimalist designs are complemented by bold typography, increasing aesthetic appeal. Flat design may be integrated with broken grid layout by using geometric shapes. With some skill, they can influence the emotions of visitors. Rectangles suggest professionalism and stability, triangles imply creativity and movement, and circles represent unity. Triggers – These are user- or system-initiated actions that trigger an event. Triggers include clicking a button or receiving a notification. Rules – When the trigger is in motion, the rules define what happens next, and the flow of the interaction. For instance, clicking a button that says “Book an Appointment” should direct you to a page that allows you to do just that. Feedback – Certain signals (visual, auditory, or kinetic) verify that the action has been performed by the system. Examples of feedback include the cursor slanting a font is changed to italics, an animation appearing when a computer’s mouse hovers over an image, and sounds or vibration when a notification is received. Loops and Modes – These are the meta rules defining what happens after a microinteraction. Loops refer to the duration of the microinteraction and whether it repeats or changes over time; modes allow users to perform subtasks during the microinteration. One example would be adding a location to a weather app. In an era that prioritizes instant gratification, load speed can strongly influence conversion rates. Most consumers do not have the patience to wait for a page to slowly load. As little as a one-second delay in load times results in a 7% risk of abandonment. A significant number of users bounce from sites that take more than three seconds to load, resulting in poor user experience and a higher likelihood those users won’t return to that site. “Fixed” or sticky navigation occurs when an element is locked into place at the top, bottom, or side of a page. Sticky elements stay in place even as the user scrolls down, making them accessible throughout the visit. They are often used to assist navigation (if applied to menus) or to highlight certain information (ike announcements, discounts and promotions, company information, and calls-to-action). In 2015, the use of mobile devices for conducting online searches topped desktop usage. Two years later, the percentage of mobile searches increased to 63%, Failing to integrate mobile-friendly features on an older website may cost you visitors and potential conversions. In response to this trend, Google altered their indexing priorities to accommodate mobile-friendly websites and ranks them higher in searches. Upgrading your website design and layout to reflect up-and-coming trends can benefit user experience. You can consult with professional web designers for assistance with creating or renovating your website. Instruct the team you hire to keep the site consistent with your brand while utilizing the trends that work for you. Experts offering quality SEO services in Ottawa, Toronto, and other areas in Canada or North America will build your website so it not only appears trendy. They’ll make sure it appeals to visitors and helps you get higher rankings on search results pages.